Notify camp coordinator or Cubmaster of your intent to attend camp and make arrangements to pay with the below dates in mind. There are no exceptions to these dates. Higher fees will result if the schedule is not followed. Half week campers are SUNDAY-TUESDAY ONLY, with advanced approval of the Camp Director and Pack 874 Leadership. $395 full week, $197.50 half week if paid before 5/15/17. Late fees apply if paid after this date. If you cancel your reservation before June 1, you forfeit $50. There are NO refunds after June 1 (except in extreme cases such as hospitalization) as the money has already been invested by that time. See the Popcorn link for incentive levels. *Note: Council fee due dates may differ because pack leadership needs time to gather and mail the information. Do not send payment directly to council. 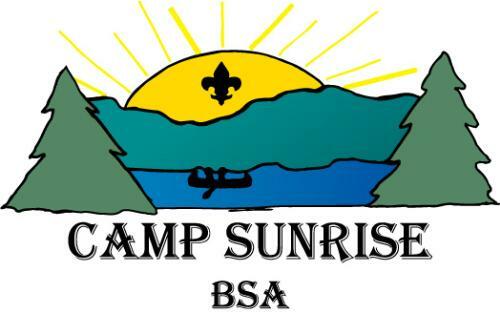 Medical Forms: All scouts, scouters, and parents staying at camp overnight must submit a medical form. Don't wait until the last minute to schedule a physical! Food Allergies or Special needs: If your child requires a special diet or diet restrictions including allergies, it is necessary for you to let the camp director know at least two weeks ahead of time so they may accommodate his needs! If your child requires special programming or special accommodations please contact the Camp Director at least two weeks ahead of time. The Camp Director can be reached via email (see link at top of this page) or you can contact the Council Service Center at (802) 244-5189. Campership Application: Financial assistance is available to those in need. Note the due date on the application is typically in early April. A portion of this form that needs to be completed by pack leadership prior to submission.